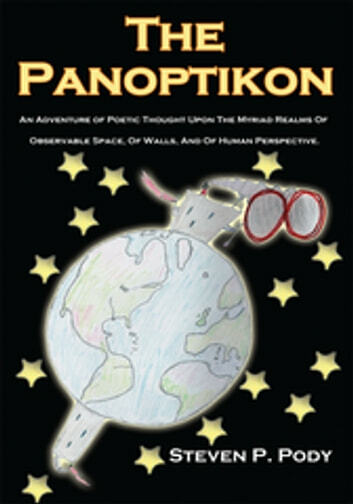 An Adventure of Poetic Thought Upon the Myriad Realms of Observable Space, of Walls, and of Human Perspective. The fool on the hill, the prison-keeper in the central spindle, and other iterations of cosmocentrism... Each of us is a universe, and each distinct set of id perception rules and abides within the very center. Daily and lifetime events swirl about us. Sometimes we dispassionately observe, sometimes we interact, and sometimes we are acted upon, whether we are willing participants or not. Billions of universes come into existence and wink out of the random void like some great humanistic exercise in quantum physics. Within these pages lie the occasionally offbeat threads of perception and musing of one, single, universe. Sitting within the observation booth of my body (which itself is not always sitting, thank goodness, but lately tends towards rust and entropy), and trapped within its limits: I think, therefore I write poetry. ...More or less. We live within boundaries (not sold in stores; sizes may vary). There exist the often inconvenient limits of governing physical law and, further, a total lack of freedom within the 4th dimension. Many other boundaries are carefully crafted and self-imposed to enclose the known and the safe. Any universe is a holistic and limited construct. "Limitlessness" exists as potential, but we can't process the information: Super-agoraphobia, implanted in the primal psyche. So the walls come up. All of these facets, in sum, amount to prison aplenty to occupy a lifetime of thought and emotion. However, what truly makes a universe distinctly ours when so many others inhabit it, and so many immutable laws govern it, is that it is seen through our perceptions, and evaluated on a basis of perpetual personal appraisal. And thus, as an issue of perspective, are we each a warden of The Panoptikon.